Are you putting your self-care first? As spiritual Entrepreneurs our clients needs often come first before our own. EVERYONE'S needs come first! But it is only through recognising what you need to do for yourself that helps your clients and has a huge impact in your business. When you look after yourself first others feel that and your draw to you clients that want to put themselves first too. 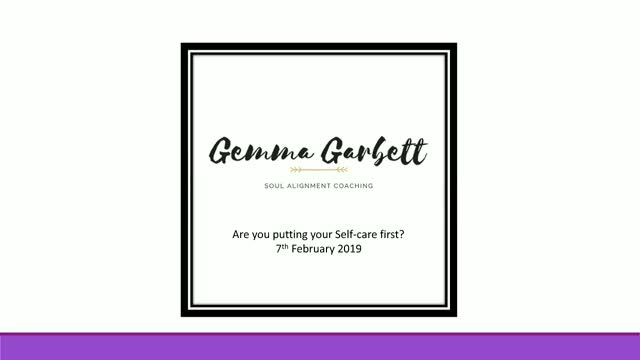 I have created this three-part e-series for those of you that are Spiritual Entrepreneurs or looking to start your spiritual, holistic or wellness business to help you to get the most from your own self-care and soul connection. -YOUR vision for your business, as it is through this vision that you can see how others will benefit from working with you. -ACTIONS to take for yourself and your clients to get yourself out there. -WHAT is blocking your path to your clients? Are you looking to expand, what is holding you back? -WHY did you start your business in the first place. You will connect back in with what is important to you and the values your business are based on. -CREATE you will create a plan for moving forward so that you can have the biggest impact on your clients and get yourself in front of the people you want to work with. Title: Are you putting your self-care first?